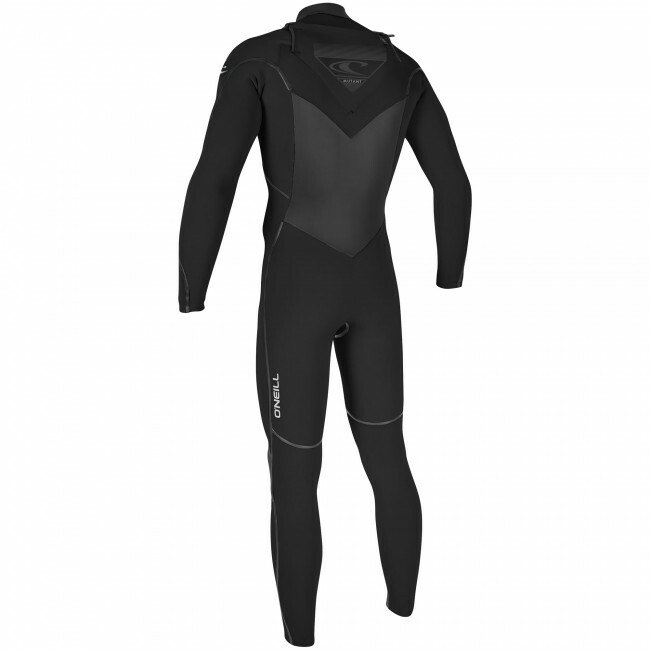 The O'Neill Mutant 5/4 Wetsuit allows you to easily go from a full hooded wetsuit to a regular chest zip suit with just a few zips. When days are cold and gloomy the Mutant keeps you cozy in a cocoon of cushy neoprene. When the water temperatures creep up and the sun comes out, zip, toss the hood, then zip zip and enjoy. Simple, functional and great for year-round surfing. Flexible and warm, the Mutant features Watertight Stitchless Technology and insulates your core with lightweight, toasty TechnoButter Firewall which absorbs the sunshine and blocks the wind chill. 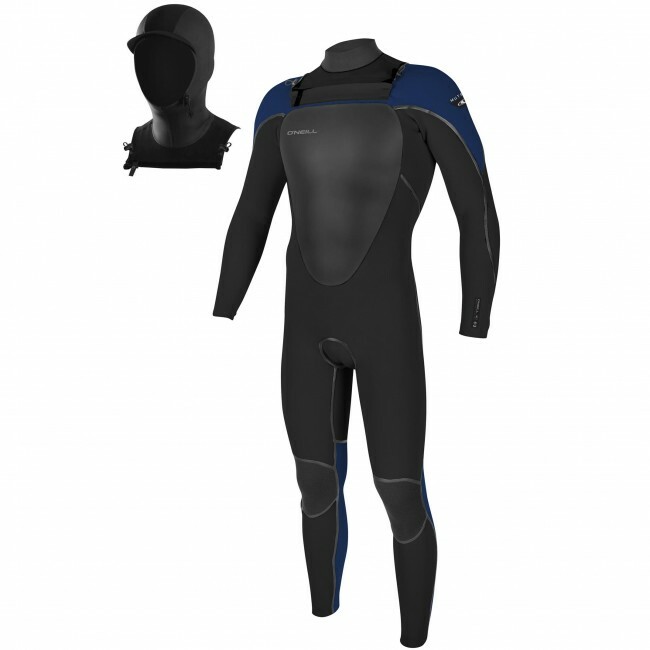 Multifaceted to suit an array of conditions and built with durable, high quality materials, the Mutant Wetsuit is a killer suit that has earned a hefty following of fans for good reason. This is one of the best suits I’ve ever owned. It is almost too warm compared to my other 4/3’s and the option of adding the hood on those extra cold and windy winter mornings then simply swapping it out for a regular collar in the afternoons once the sun is overhead is pure genius!! The only reason I only give it four stars is that it only comes in solid black; they wasted all of their imagination on function with no thought into style. I know it’s stupid but I get a little uneasy dressed like a seal on those gloomy days this suit really excels in and a little graffic design and color would ease my mind even if it might only be in vain. So, I don't write reviews, ever! That being said, these guys warranted a review. First the wetsuit - I've used it a few times now (58-51 deg F), toasty warm. Be warned, it's a pain to get in and out of but I knew that when I bought it. Second and most important - Cleanline Surf Co was great. The Suit arrived on time and in the box was a free T-shirt, some decals, candy, board wax, and a hand written note expressing their gratitude for my business. I appreciate the extra effort and they've earned a loyal customer. Thanks for being awesome! I ordered this suit online recently at a great sale price from Cleanline (timely delivery) for spring Rhode Island surfing. Along with mutant 6/5/4 split/toe boots and 3mm gloves (both also O'Neill) I have been quite warm and toasty in water temperatures in the mid to high 40s, even with a brisk offshore blowing. In fact the inside of the suit is partially dry at the end of a session. Getting the zipper closed by oneself can be tricky at first, until you figure out how to get it fully seated first. And of course it's harder to be quick and nimble taking off when you are wearing this much rubber, but if you eat it at least you won't freeze! My son love thes thickness of this wet suithe price was best out there. Cleanline service was excellent, sent a free tshirt and thank you card with some candy. Way to go Cleanline. Admittedly I don’t use wetsuits to do sweet things like surf or scuba dive. I run a business installing and removing docks and boat lifts in the spring and fall in Michigan. Needless to say the water is cold that time of year. 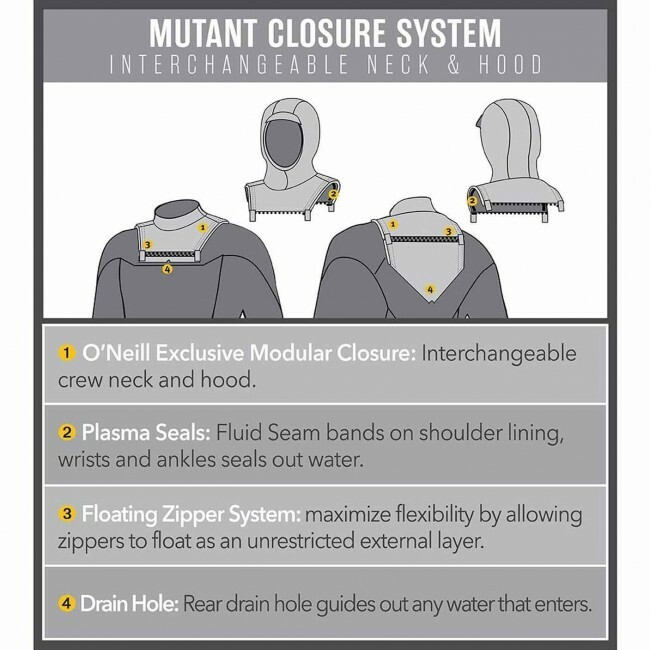 This will be my second Mutant suit from O’Neill with my first lasting 4 years. I liked it so much I decided to buy the new model and while I won’t be using it until Spring, I know I’ll love it. Great quality and great price. As for my experience, I was really impressed with the service from Cleanline, especially the extra goodies in my box and the thoughtful thank you card - thanks guys! As a business owner I can appreciate when someone goes the extra mile to earn my business and will definitely consider purchasing from them again. 1) Cleanline had fantastic service with answering my questions and also had the best price. After a lot of research, I bought from them and am glad I did. 2) The 5/4 mutant really is incredible. I kept comfortable AND warm for hours in 51-52 degree water, where my old 4/3 had my shivering. The hood worked great and I look forward to a nicer day where I can switch out to the collar. Great suit! More flexible, warmer and feels lighter than my 4/3 Rip Curl F-Bomb. I've been using this suit model for 5 years now and they are great. I was worried about durability when they switched to techno butter for the chest but the suits have held up. And the Mutants are warm too.